– Post Graduate in General Management. – 3.5 years of cross cultural corporate experience in HR, Project Management and Language Operations domain. 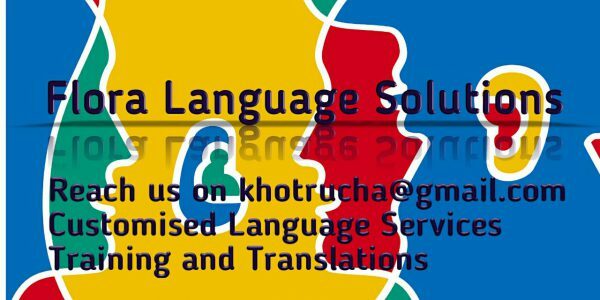 – Founded Flora Language Solutions and managing operations since 2012. – Aspiring polyglot and avid traveller. Interests : Dancing, Writing, Travelling and Swimming that help her connect to herself. With an innate ability to network with people across varied backgrounds Rucha possesses strong interpersonal skills which she firmly believes is an asset in today’s global village. The inclination towards German earned her a Student Exchange Scholarship to Germany, twice, on a full merit basis. She was the youngest candidate from her team to go to Bosch Headquarters in Stuttgart for an onsite project for one year, followed by a brief visit of three months in the coming years. Currently she is continuing her quest by learning Spanish. Skills that she brings to the table : Public Relations, Communication, Foreign Languages (German and Spanish) , Language Teaching, Translation, Writing, Pre Screening, Personnel Evaluation, Interviews, Language Localization, Social Networking, Multilingual, Public Speaking,Interpretation. A dedicated manager, a moody artist, a loving husband and a determined tennis sportsman is what Navneet is specifically known for. Navneet brings 11+ years of strong experience from the Oil and Energy gamut to the table. Having dealt with various critical projects in mechanical maintenance, project management, contract management and maintaining Oil plants for Indian Oil at various locations in India, he is positively known as Shutdown Specialist amongst peers and colleagues. Interests : Tennis, Cricket, Basketball, Guitar, Painting and Sketching.